Woodland Heights Baptist Church, 611 W. 31st St.
Make sure you’ve registered or renewed your membership prior to the meeting so you can join us for a neighborhood social for current members before our meeting begins. Grab some pizza and salad from DaVinci Pizza, and take advantage of the opportunity to get to know your neighbors! Meeting attendees must be members to vote on business items during the meeting. Register now for our annual community yard sale! We’re proud to host our annual community yard sale on Saturday, June 2nd from 8 AM until 12 Noon. Got some items sitting in your garage, attic, basement, or ready to minimize your home? 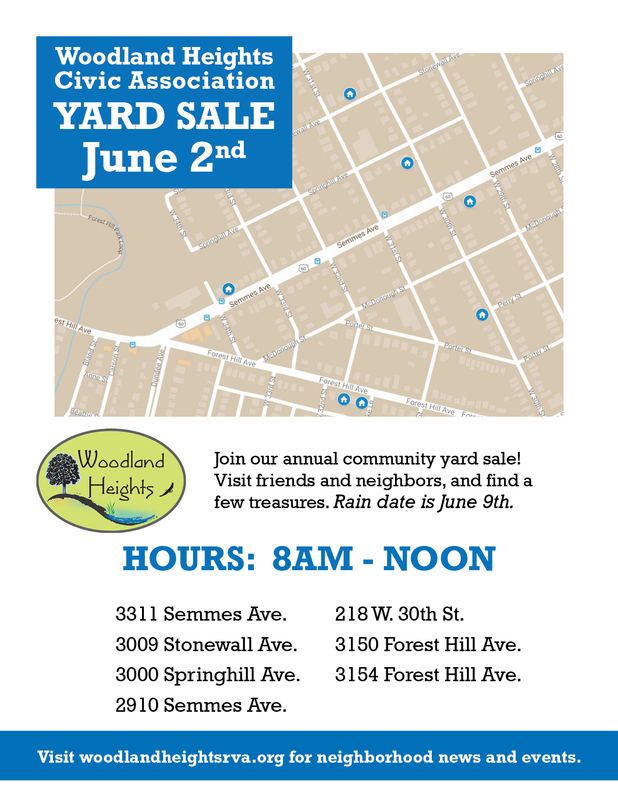 Now’s the perfect time to host a yard sale that the Woodland Heights Civic Association can help you promote! All you have to do is be a current member of the WHCA and sign up by May 25th to get your home listed on our community map. We’ll share it on our website, Facebook, NextDoor, and Craigslist. I want to participate in the community yard sale! Rain date is Saturday, June 9th. 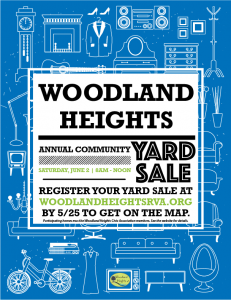 Participating homes must be current members of the Woodland Heights Civic Association. There's no fee to participate. By registering for this event, you agree to let the Woodland Heights Civic Association share your street address as part of its promotions. I am a Woodland Heights Civic Association member. To become a member or renew your membership, please visit our membership page. Memberships are valid January 1 - December 31 each year. Your name, email, and telephone number is for contact information only. This information will not be published when promoting our yard sale. Participating locations will be announced shortly. We encourage you to visit friends and neighbors, and find a few treasures. Rain date is June 9th.